I have been inspired to work with children from a young age. 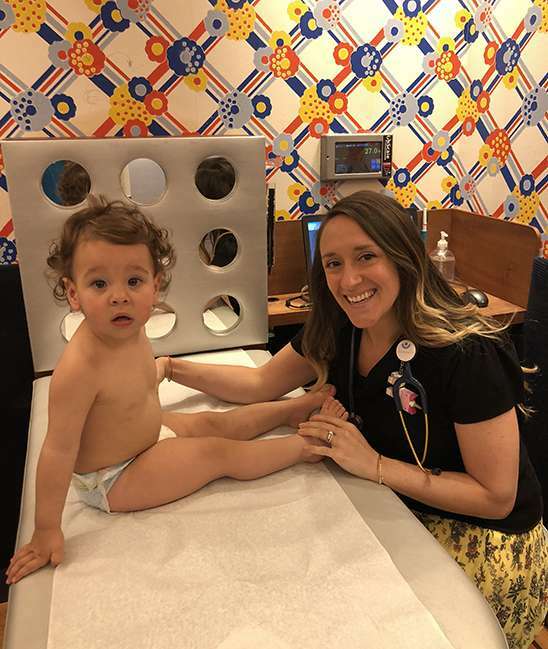 Pediatrics is one of the most fun specialties in medicine but also provides the opportunity to help families navigate the many stages of childhood. As a pediatrician, we are there not only to help treat illnesses, but also to educate our patients on making healthy choices for their future. What are you looking forward to in Astoria? I am looking forward to giving the best possible care to the children and families in the Astoria community and working close to home. The amazing and unique relationship that is formed between a pediatrician, their patients, and families is something that I absolutely treasure. Knowing that everyday I get to take care of and keep the future of our world healthy and happy is one of the best parts of being a pediatrician. I would also have to say that my loving husband and family keep me motivated as well. I love to travel, cook, run, listen to music, play board games, snuggle with my cats and spend time with my family and friends.